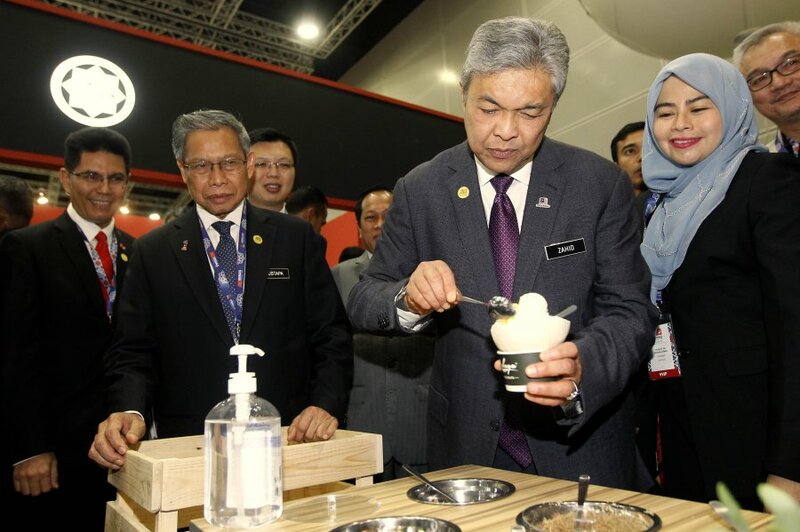 KUALA LUMPUR: Global halal industry players should mutually recognise each other’s certification to address the absence of a single unified standard, said Deputy Prime Minister Datuk Seri Dr Ahmad Zahid Hamidi. Zahid said there are more than 200 certification bodies worldwide issuing their own halal certificates and logos. “Unfortunately, the possibility of having a single harmonised standard seems remote but there could still be a solution. “We should foster mutual recognition of each other’s certification. I sincerely hope we will look into this possible solution seriously,” he said before launching the Malaysia International Halal Showcase (MIHAS) 2017. Another challenge for the industry, Zahid pointed out, is the low level of awareness and understanding of the halal concept. He said the market is largely under served as the supply of halal products is unable to meet the growing demand. “The number of Muslims in the Asia-Pacific region alone is expected to reach 1.3 billion by 2030. “While Asia has remained Malaysia’s strongest traditional market for halal products, the United States with eight million Muslims and Europe with 40 million Muslims, present vast opportunities of growth. “Only a few countries such as Malaysia, Thailand and Australia are producing and exporting halal goods,” he said. Thus he said, there is an urgent need to create more halal suppliers as demand is currently overwhelming supply. Also present at MIHAS were former Prime Minister Tun Abdullah Ahmad Badawi, International Trade and Industry Minister Datuk Seri Mustapa Mohamed, Malaysia External Trade Development Corporation (MATRADE) chairman Datuk Dr Noraini Ahmad, and chief executive officer Dr Mohd Shahreen Zainooreen Madros. MIHAS, which has been dubbed as the world’s largest halal trade show, kicked off its 14th edition from Wednesday and will continue until April 8. The event is hosting 580 exhibitors from 33 countries and it is aimed at providing a platform for Malaysian and international companies in the halal industry to forge trade relations and encourage knowledge exchange in business and innovation.